I have prepared it for a clever boy of the 4th class (11 years old). 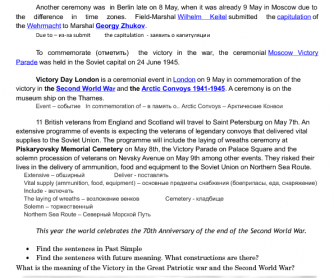 There is a text divided in some fragments about the history of the Victory Day and Arctic Convoys. The vocabulary is translated into Russian but you can easily change it. 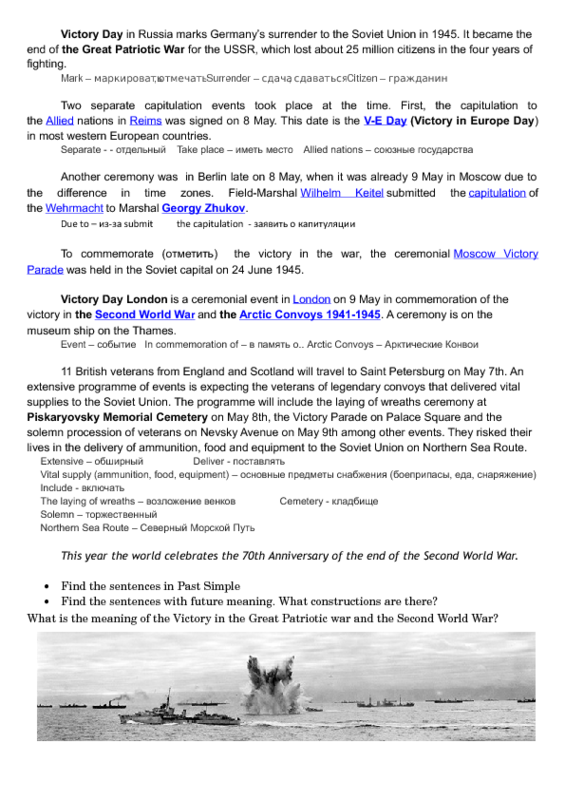 Before reading I ask how we celebrate the Victory Day. Have a Happy Victory Day!